What are your preferences when it comes to landscapes: Forests? Mountains? Deserts? Beaches? I think there is something about the landscapes of the Western US that speak to all of us photographers, and probably at a deeper level to us as members of the human race. There are obvious preferences that people have when it comes to landscapes, for example some only like heavily treed and forested mountains and rushing rivers, while others prefer the drier, wide open grandeur of a desert. Regardless of your preference, it is hard to ignore the basic, raw beauty of a land like this, which stretches out for as far as the eye can see. I was literally having jaw-dropping moments at every turn. It was wonderful. 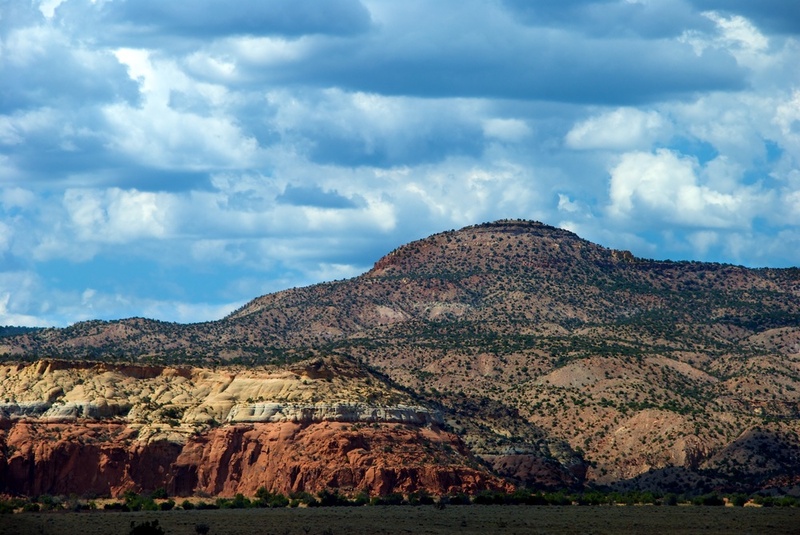 Oh, by the way, this was taken in Abiquiu, New Mexico, just outside the Ghost Ranch area.